R&S Grating - Latest news & developments. At R&S Grating, we’re no strangers to extreme testing, whether it’s throwing a fully loaded B-Double at a grate at 100km/h or putting a weaved grate through one million load repetitions, we take great pride in the quality of our product range and relish the opportunity to test them to the harshest conditions that the Australian environment can throw at it. 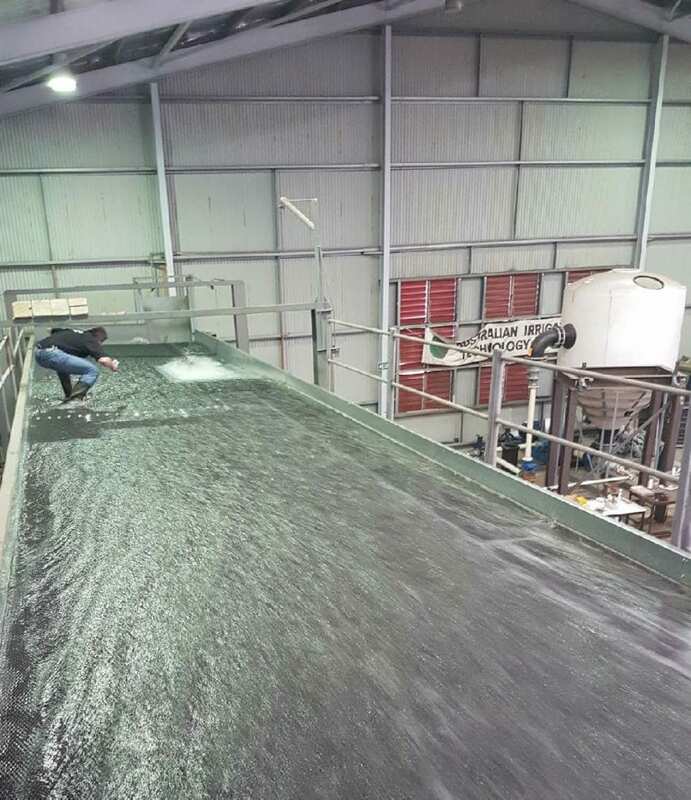 In our latest test, the University of South Australia conducted a full-scale hydraulic inlet test on one of our signature products, the weaved grate. 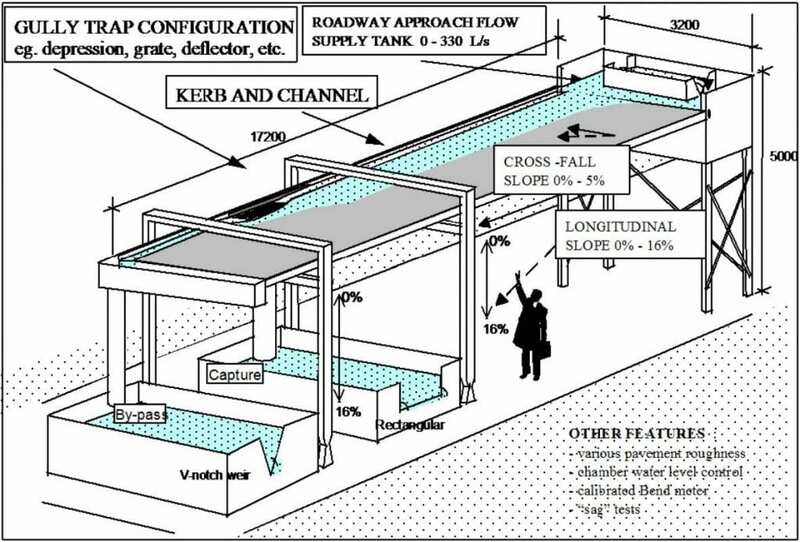 The 17m x 3.2m Roadway Surface Drainage test rig, the only of its kind in the Southern Hemisphere, was constructed in 1991 at the University of Adelaide and allows for longitudinal slopes between 0% – 16% and cross-fall slopes between 0% – 5%. With an adjustable approach flow between 0 – 400 l/s, the test rig features a capture and bypass pond to measure the collected water at varying slopes and approach flow rates. The rig was fitted with two R&S Grating weaved grates, measuring 1900x600mm and 1900x900mm respectively, with an additional inlet of 1900x450mm being measured by the use of plates covering part of the grates.. Weaved grates are a high strength product that offer between 65-75% open surface area, while still easily achieving the bicycle tyre penetration resistance (BTPR) requirements of AS3996. Both a standard grated inlet pit and combined side entry and grated pit inlet configuration were tested. All tests were conducted with a cross-fall slope of 3%, to simulate typical road conditions, with the longitudinal slope and approach flow rate being varied. The longitudinal slope was varied between 0.25% and 8% and was a fixed variable for each test. The approach flow rate was varied between 0 l/s and 400 l/s, with the contents of both the capture pond and bypass pond being measured. Figure 1: Hydraulic test rig setup at full flow rate operation. With the grates fitted, the longitudinal slope was set for each test and the approach flow was gradually increased. The large variety of configurations and clear opening inlet sizes offered great insight into the hydraulic capacity of the weaved grate. Figure 2: A 1900x900mm pit size weaved grate, fitted to the rig. 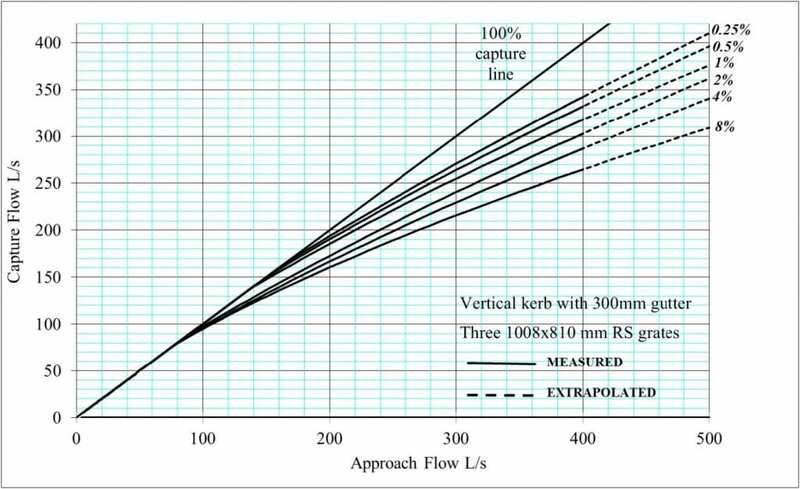 With larger inlets, and the lowest longitudinal slope of 0.25%, the grate captured 100% of the water supplied, up to a 180 l/s approach flow rate. As the approach flow rate continued to increase, the grate continued to capture staggering quantities of water. At the full approach rate capacity of 400 l/s, the weaved grate captured 340 l/s, or 85% of the water supplied. At the other end of the longitudinal slope rate spectrum, with an 8% decline, the weaved grate captured 100% of the water supplied, up to an approach flow rate of 80 l/s. At the rig’s approach flow rate capacity, 400 l/s, the grate captured 265 l/s, or 66% of the water supplied. The full results for all longitudinal slopes featuring three 1000x800mm grates are given in Figure 3. Figure 3: Results for the largest opening tested. 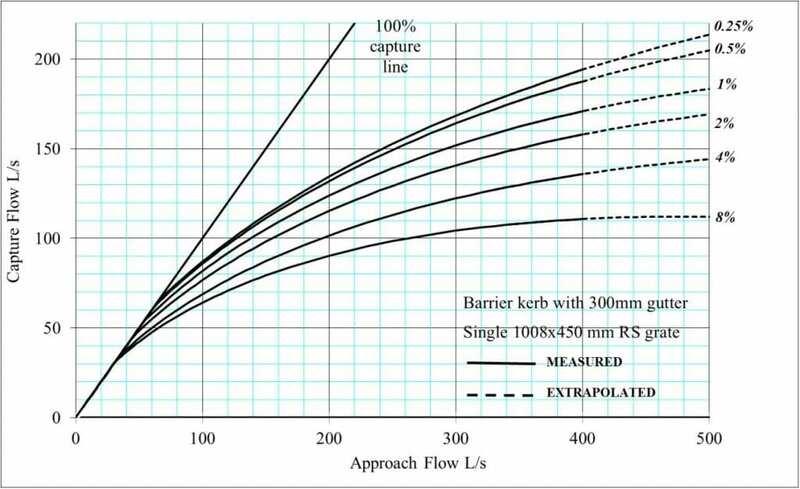 For the smallest inlet size tested, 1000x450mm, the grate captured 100% of the approach flow water up to 85 l/s with the smallest longitudinal slope of 0.25%. For the largest slope, 8%, the grate captured 100% of the supplied water up to 38 l/s. The full results of the smallest inlet size are given in Figure 4. Figure 4: Results for the smallest opening tested with the weaved grate. The impressive test rig conducted a total of 48 tests of varying inlet sizes, kerb profiles and longitudinal slope inclinations, providing superb data on the hydraulic capacity of weaved grates for almost any situation imaginable. The schematic of the test rig is shown in Figure 5. Figure 5: The hydraulic test rig setup at the University of Adelaide. The hydraulic capacity testing of the weaved grate adds yet another tick to the impressive range of tests that the weaved grate has been subjected to and passed. 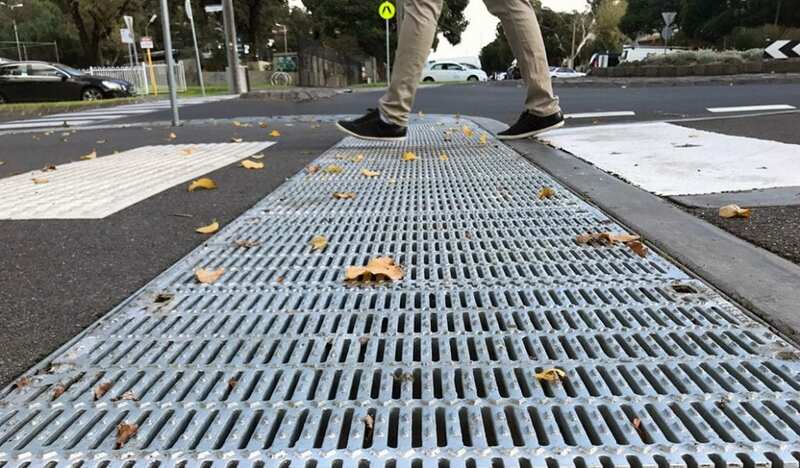 Designed and manufactured at R&S Grating’s Dandenong South factory, the versatility of the weaved grate allows it to be manufactured to load ratings from class C through to class G of the Australian Standard AS3996. The load-bearing capacity of the weaved grate has been extensively tested with both static, repetitive loads and also dynamic, high-impact loads. 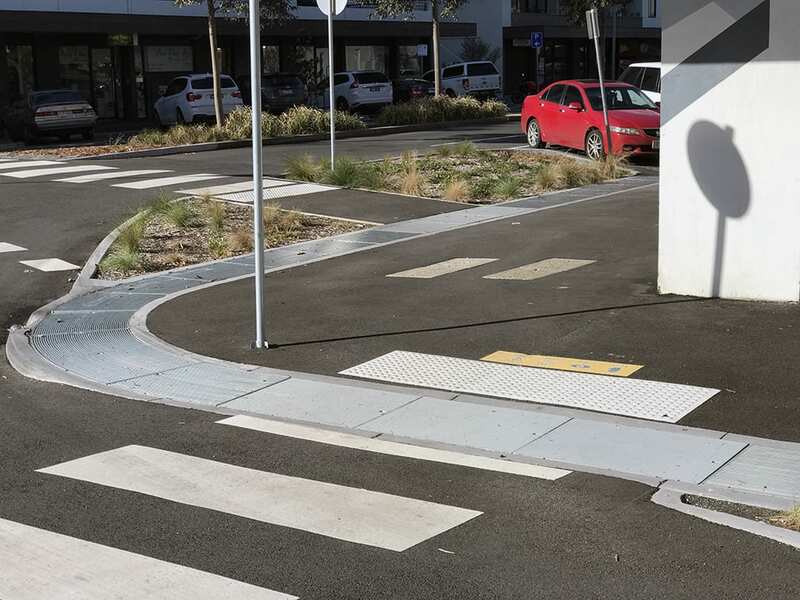 Now used extensively throughout Melbourne’s network of arterials and freeways, the weaved grate has stood the test of time in every application. 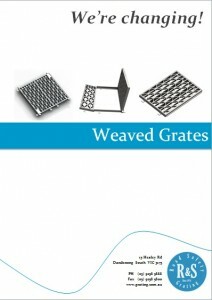 To learn more about weaved grates, how they’ve been tested, where they’re used and what the possibilities are, please visit www.grating.com.au/weaved. If you’d like a full copy of the test results from the University of Adelaide, please contact R&S Grating by phone on (03) 9238 5888 or email sales@grating.com.au. We had a bit of an Abbey Road moment capturing these photos, but the scenario perfectly highlights the benefits of heelguard (small gap) grates! 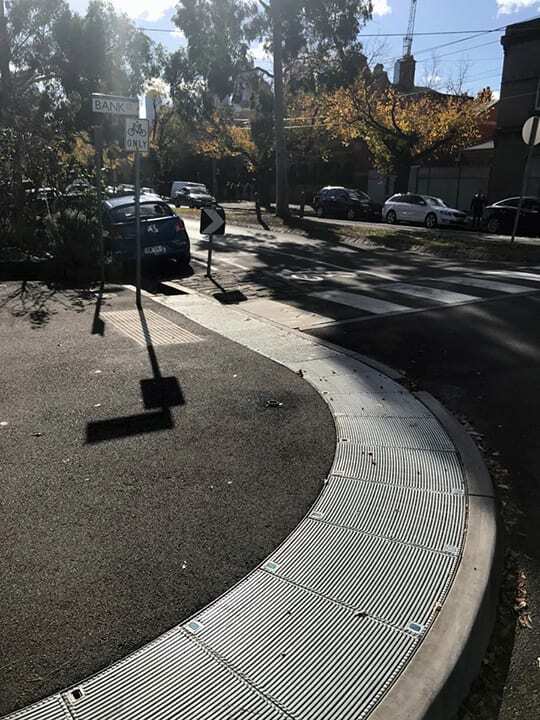 We recently manufactured and supplied 600mm clear opening heelguard trench for a busy intersection in Cecil Street, South Melbourne. The roundabout forms a junction between residential properties, community parks and local pubs and cafes, making it a thoroughfare for all manner of pedestrians at all hours of the day and night. Complicating the design was a history of damage from garbage trucks and buses. 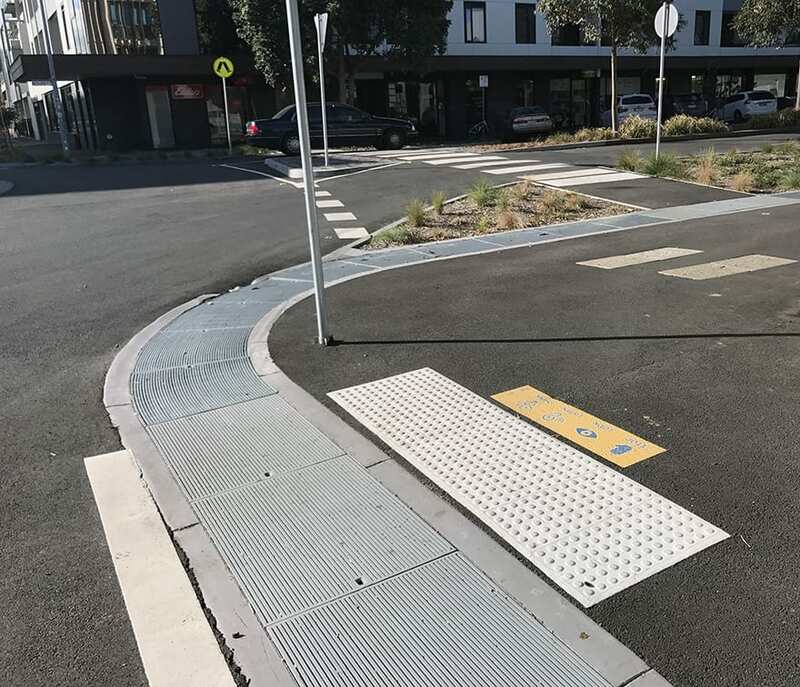 Heelguard grates were the ideal solution, ensuring the area could be safely accessed by pedestrians, bikes, wheelchairs and even those wearing high heel shoes. Our very own Abbey Road moment on Cecil St, South Melbourne. R&S Grating designed a system of grating that not only provided a small gap of around 5mm, but was also class D (heavy duty) to ensure that when buses and trucks mounted the kerb there were no issues. To ensure that the aesthetics of the popular intersection were maintained, R&S Grating meticulously rolled and welded curved bars to match the curvature of the intersection. The heelguard bars were meticulously cut, tacked and welded to match the curvature of the intersection. 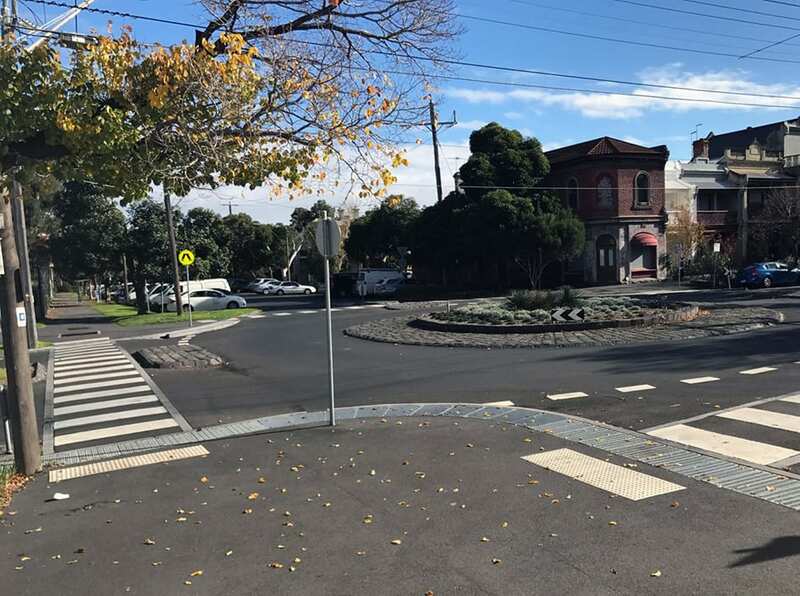 The result was four trench runs on all corners of the intersection that now allow sufficient drainage to the trenches while ensuring public safety and simultaneously providing a strong solution if large vehicles mount the kerbing. If you’d like to learn more about this project, have a look at our publication in the Access Magazine (6mb download). 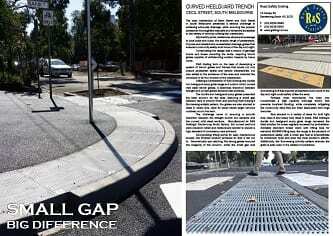 Throughout 2016 R&S Grating have been supplying grates for the CityLink-Tulla Widening Project in Melbourne. 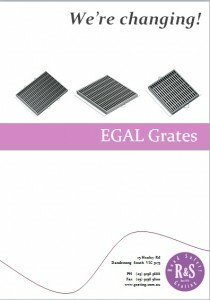 The grates have been specifically designed for freeway applications. Learn more about this exciting project by clicking the link below. You might have heard about some of our changes already. 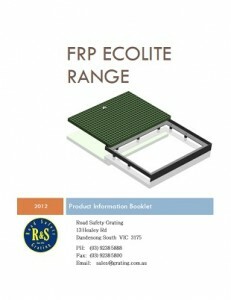 R&S Grating spent a great deal of time in 2012 and 2013 redeveloping our range of grates and covers to improve on the already tried and tested design. One of most exciting developments has been the introduction of hinges and bolt down methods in many products across our range, as a standard inclusion. To learn more about what products we're changing, and how, have a look at our "We're Changing" booklets. Road Safety Grating are proud to announce the launch of our new and improved website! Full product specifications on many of our products (and we're constantly adding more!). Pictures of all listed products. Brochures, booklets and general information. The latest, up to date information on all of our ranges. 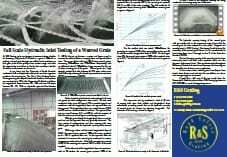 To stay up to date with the latest news from R&S Grating, you can subscribe to our newsletter on the right of the page. While we're excited about the launch, we're still working on a few areas, compiling and uploading as much information on our product range as we can, so please bear with us over the next few months as we add even more products, pages and information.